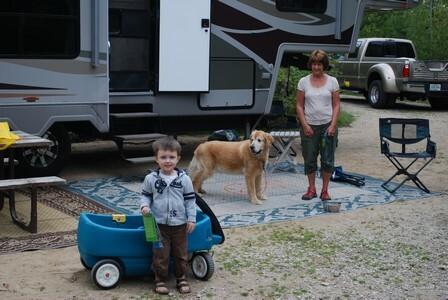 We took our grandson Carter to MacGregor Point Provincial Park for four great days In mid September. 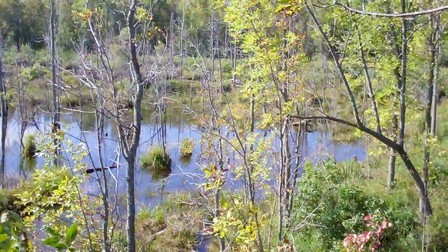 We like visiting provincial parks in southern Ontario during the shoulder seasons, there are fewer campers and those that are there are what we would call "real" campers. We were asked whether we would survive the four days (we haven't looked after a three year old in almost 3 decades! 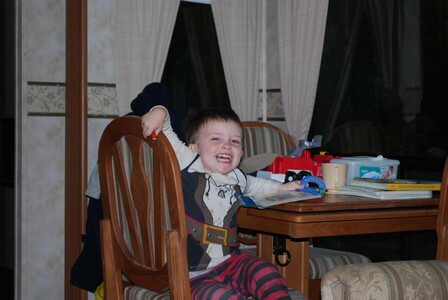 ), we can say that we survived very well and as proof, one day we wore Carter out and he went to bed before 7 PM! 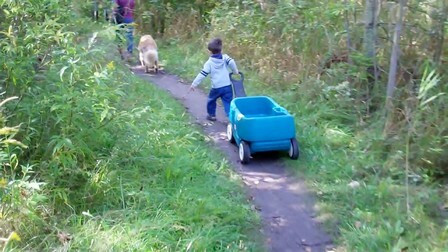 That was the day he hauled his wagon most of the way to and from the wetland exhibit (pictures below). We had a couple of campfires and had a great time. As usual, the weather in September is changeable, we had some hot days. 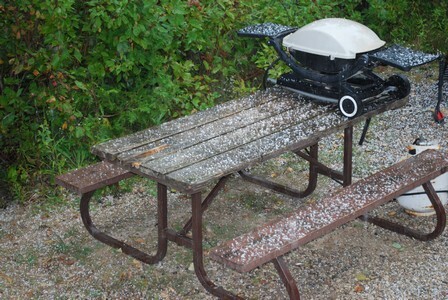 cool nights, some rain and even some hail. We were asked if we would do it again, we say for sure, bring it on!! 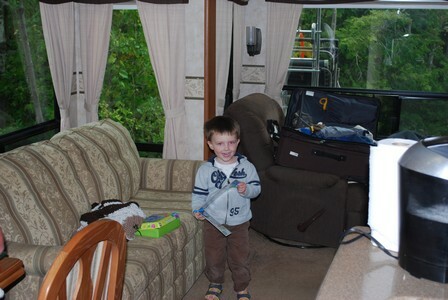 Carter really enjoyed the camper, he even found some hiding spots behind the chairs! Carter with his wagon, ready to go! 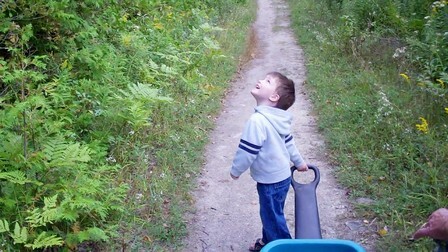 Look, I see a butterfly!! 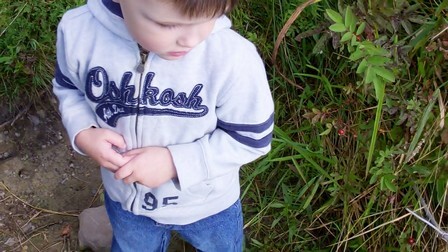 A little apprehensive after being dive bombed by a dragonfly! We really had a good time and we look forward to doing it again!